We often talk about how lucky we are to have our head office in a place as beautiful as Beaconsfield. It’s a well-connected town, in terms of travel and is choc-full of stunning properties surrounded by greenery. Our Old Town is a great place to spend your summer weekends, frequenting the many bars and restaurants which line the streets. We are situated in what is known as ‘Green Belt Land’. This is probably a phrase that you have heard mentioned repeatedly on the news and certainly in local affairs in and around Beaconsfield. Green Belt Land is an area of land which is preserved as open space and often borders larger towns and cities. One of its main purposes is to protect the countryside from urban sprawl. Towns and cities spread organically as they try to cater for increases in workforce and general population and these areas of green space are designed to help contain this spread, while also providing areas for agriculture, forests and habitats for native wildlife. While preventing urban sprawl, the Green Belt land also protects our agricultural industry and preserves the unique character of our rural communities. It also benefits the urban population – just 25 minutes from Central London sees you in the middle of the countryside enjoying a break from pollution and busy roads. Designated Green Belt Land has always been a bone of contention for local authorities, government and housing development companies. The designation is not one which is set in stone and local authorities have been known to amend the rules to suit a separate agenda. The Green Belt policy is not something that has worked perfectly in all areas of the country, but largely it is respected. It is permissible to build on Green Belt Land, but this privilege is reserved for agricultural buildings and sanitation facilities. 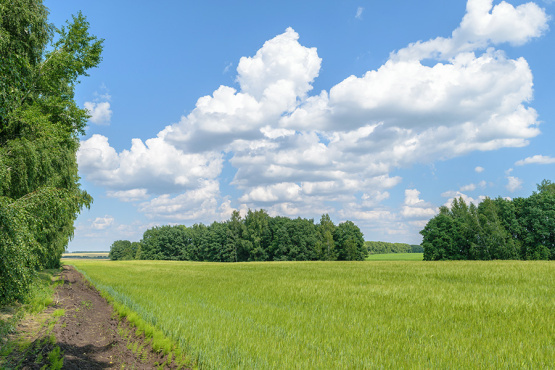 You may have heard that there is a proposal to release some of the Green Belt Land around Beaconsfield, in order to develop housing to accommodate the growing population and cater for the demand in people wanting to live in the area. At Ashington Page we are slightly torn in how we feel about this. Of course, from a business perspective it is fantastic; naturally more houses means more people which ultimately means, we’ll have more homes to find/sell and let. However, we love Beaconsfield just the way it is! It’s an old market town full of character and history and we don’t really want to see that impacted in a negative way by new developments without the correct investment in infrastructure. You may be aware there is an on-going issue with parking in Beaconsfield as the roads struggle to accommodate the already large volume of cars and people. We’d be really interested in hearing what you think about the plans for our Green Belt Land why not drop us a line on Facebook, Twitter, LinkedIn or Instagram. And remember if you are interested in buying, selling or renting a property in the area you can always give us a call on 01494 680018 or send us an email to speak with an advisor about your options.